Back To School time is a whole season in our house. It really may as well be a gift giving holiday. With all of the exciting new things going on and all of the new clothes shoes, and other stuff, I think it may cost more than some of the other traditional holidays. What about all of the time in between? According to the National Summer Learning Association, kids lose about 2 months of math skill during the time that school lets out until the time it goes back. I'm sorry kids but, that's too much. Us as parents know you guys study and work way too hard to lose any of that awesome brain growth. We have been here for the frustrations and breakthroughs. Just so you know how I feel about it, I have way too many gray hairs invested in your education to know any of it will be "lost" anywhere. So, as parents/primary teachers, let's get our kids some stuff to have fun and keep their brain growing. I recently partnered up with Circuit Scribe again to check out their Ultimate Kit. This is a 32 piece set that comes with 26 modules and the conductive ink pen. It's very cool just so you know. This kit it learning and fun. It's totally hands on learning. It's science, math, and reading but just looks like something cool. When I was in 4th grade, I finally got to go into Mr. Loggers class in A O Marshall Elementary School, he was the coolest guy ever. It was awesome because his class was upstairs so I already felt like a big kid, I was a big kid, I was upstairs! He taught us some of the coolest stuff and it really stuck with me. It wasn't paper and pencil the whole class, it was hands-on learning what science was about. That was when I knew that traditional learning just wouldn't do for me. I wanted everything to be a fun demonstration, not that it was actually like that but, I wanted it so bad!! Every time I look at the Circuit Scribe kits, Mr. Logger's class is what I think of. This kit is more than just fun, it's exciting and new and a way to get the kids face out of a book lesson and see how stuff really works, I mean to the basic of it, how it really works. The kit is recommended for kids 8+. The booklet that comes along with the kit is really awesome and easy to understand. 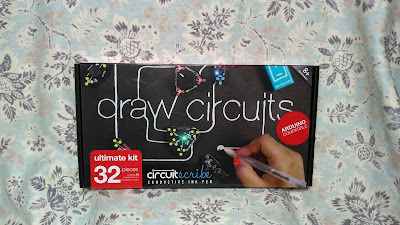 It offers a step by step direction to create the circuits. I love it. it's like magic that the conductive ink can make electricity run through the plastic. There are experiments and games in here to let you see and understand about conductors and insulators. 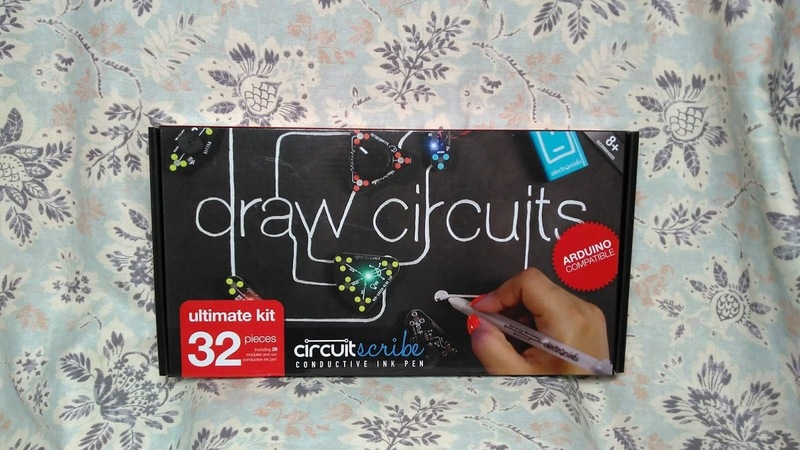 It goes on to explain light and currents and even how to make a push button switch, touch sensors, a buzzer, motor, light fader, blinker, light controlled motor, and so much more with the Circuit Scribe. As the book goes on, the circuits get more and more complex. It's so neat how the step by step instructions are right there in the book. For me, that's a great idea. If the kids are confused on something they can go back to a previously learned circuit and check it out again. This is a great idea for people of all ages, not just kids. I have learned how things work with this kit. 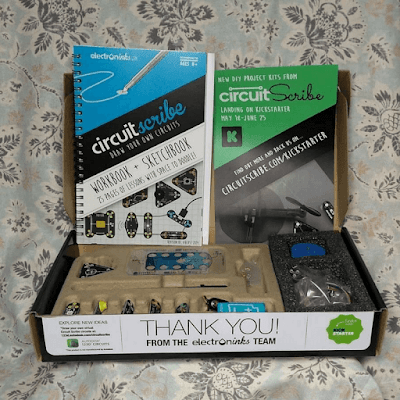 Circuit Scribe offers different kits so there is something for all budgets. It's not just for summertime either, it's fun all the time. There are even classroom kits for teachers and groups of kids. I received this product for free to facilitate this review. If you have any questions please feel free to email us directly at [email protected] or [email protected], We love hearing from you!! !